So I'm pretty sure all of us teachers have had that, "Oops I forgot deodorant this morning" or "Does anyone have any Tylenol" moment at least once in your teaching career! I thought that image was too funny and goes perfect with this post. 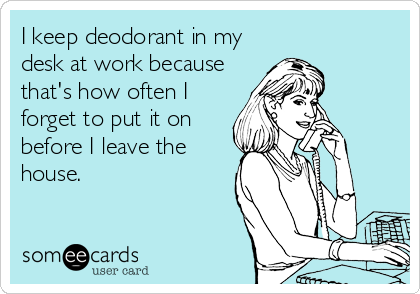 However, I do have to say that I am good about putting deodorant on every morning except that one time that I didn't and had to stop on the way to work for some...could have used a Teacher Emergency Kit that day! I have seen a few Teacher Emergency Kit posts on Pinterest and Blog Posts. Lori from Conversations in Literacy has a great Teacher Survival Kit post and includes a lot of great things in her kit! Well all of these ideas got me thinking and I decided to put together Teacher Emergency Kits for my teammates as Back to School gifts! I think the idea of an emergency kit is genius because we've all had those moments of needing something and not having it. I started off with getting the containers. I decided to go with the Sterlite shoebox size containers from Target. They are less than $1 each! I'm excited to give these to my kindergarten teamies!! I may have also made one for myself!! 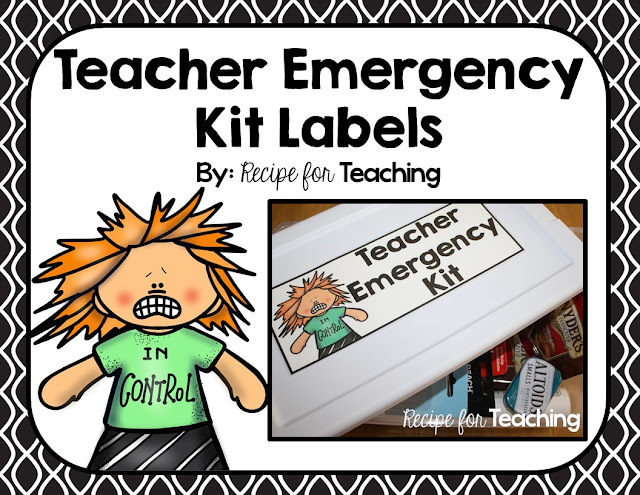 If you are thinking this is something you would like to make for your teammates, I am including the Teacher Emergency Kit label as a FREEBIE! Just click the picture to download! I laminated the labels and then hot glued them on the lid of the container. 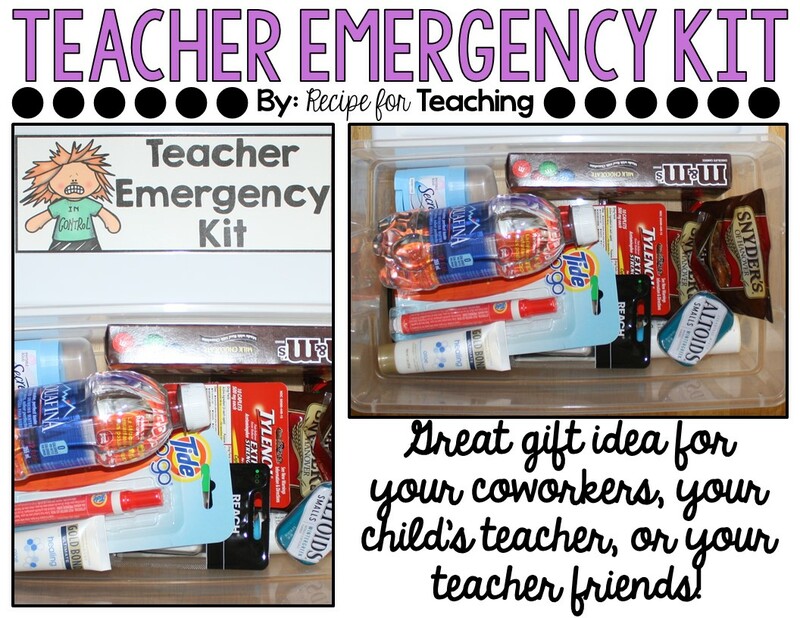 I'd love to hear if you have a Teacher Emergency Kit in your classroom and what items you have! Happy Back to School Season!